The annual Adivasi Mela (tribal fair) kicked off at the Exhibition Ground in Unit III area of Bhubaneswar on the Republic Day evening. 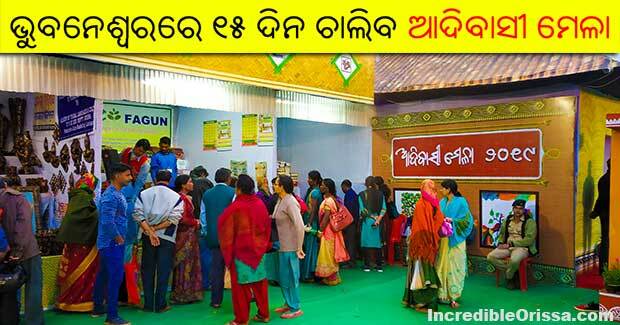 The 15-day long Tribal Fair was inaugurated by Chief Minister Naveen Patnaik. While the event was inaugurated with several cultural programmes and other tribal art forms, around 180 stalls have been set up this year. The event will showcase tribal market, tribal food court, tribal agricultural produces and forest produces. There are 24 mud houses with thatched roofs at the venue showcasing tribal lifestyle and culture. The tribal self-help groups have set up 28 stalls at the event, while 36 stalls displaying various handicrafts items made by the tribals have been set up by the State government.